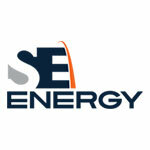 SE Energy, LLC is a nationwide specialty electrical engineering and maintenance company serving clients in the utility and power generation, transmission and distribution and heavy industrial market. Our programs ensure continuous improvement of our design and construction services, quality in our work safe execution and customer satisfaction. We provide services based on the principles of safety and quality. We work with our customers to ensure we stay on-schedule and on-budget. Our team is trained to understand and provide services inside of several different systems. SE Energy maintains strategic partnerships with equipment manufacturers.